Every day, gently rub the lotion into your skin. 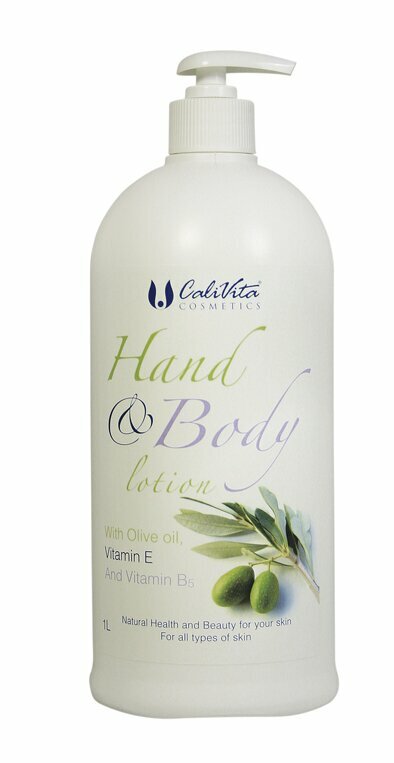 With the use of Hand & Body Lotion you can provide your skin with its required needs. It contains vitamin E and olive oil useful for the body, in an up-to-date composition. With its use, your skin becomes velvety to the touch and preserves its moisture content and elasticity for a long time. It is absorbed quickly and easily. It does not have a shiny residue, so it is perfectly suitable for daily use as well. Dry skin is not only an esthetic problem. Dry skin peels easily, is sensitive, itchy and an unpleasant stretching feeling frequently occurs. It is the result of reduced fat production of the sebaceous glands. Due to water deficiency the skin may crack. Cracked skin signals that the first line of defense of our body is damaged and different pathogens can penetrate more easily. The skin becomes more vulnerable to other external effects and different chemicals (detergents, dish-washing liquids). Hand & Body Lotion was manufactured according to the most stringent cosmetic requirements. Its user protects her beauty and the health of her skin. Its most important ingredient is squalane (olive oil extract), which renders the skin smooth and elastic and due to its deep moisturizing effects slows down the aging of skin. Vitamin E is a powerful antioxidant, which also blocks aging; it has natural moisturizing and anti-inflammatory effects. The B5 provitamin contents of the body lotion nourishes skin, prevents the development of pimples, has skin protecting effects and regenerates skin (by eliminating the negative effects of stress). It also contains bisabolol – a skin calming substance – as well as silicon, which leaves the skin silky to the touch. extra attention to dry, rough and coarsened areas. Due to its discrete scent, the body lotion is pleasant to use.